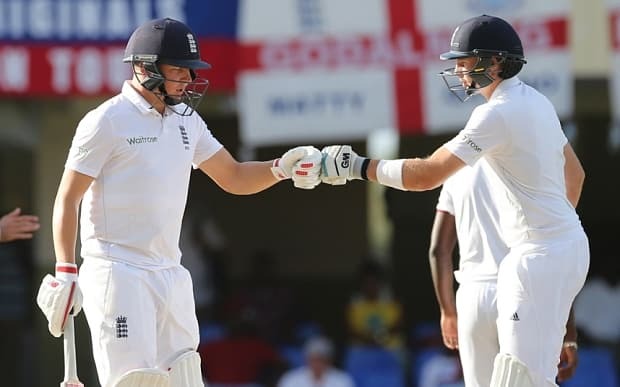 The second test between the West Indies and England will take place this week at St. Georges. The hosts held on bravely to draw the first test, and England will be desperate to get back on track with a win, against what is an under-strength West Indies squad. The first test saw England march into a respectable lead with 399 runs from their first innings. Bell scored a magnificent 143 and was well supported by the middle order with Root scoring 83, and Stokes hitting 79. The visitors followed that up by bowling out the West Indies for 295 in 113.0 overs, with Tredwell leading the bowling stakes with four wickets. England took to the crease for their second innings, and declared on 333 for 7, with Ballance taking the plaudits with 122 from the number three spot. Even the legendary ex-West Indies Captain, Sir Vivian Richards, said that he thought “A lot folks would have come here today expecting them to crumble”, when talking about West Indies dogged display on the final day of the test, and England perhaps should have done better. The West Indies held on to rack up 350 for seven, and England failed to take more than five wickets in 90 overs on the day. Jason Holder scored a brilliant century as he saw the day out and helped to earn the draw. Michael Vaughan made a similar point when he pressed for the inclusion of Adil Rashid, saying, “He might bowl four spells in a day and two and a half of them might look utter rubbish. But that spell and a half might be the difference. That’s why you pick him.” Vaughan even believes that Rashid might have made the difference on the final day in the first test when England were chasing wickets, and with the pitch in Greneda expected to offer more turn, there is a strong case for his inclusion. He might also be worth a punt for top England bowler in this second test, with conditions to suit him more than other England bowlers. Both Anderson and Tredwell bowled well in the first test, with Tredwell taking five wickets and Anderson taking the four which made him England’s all-time top test wicket taker. However, conditions may not be so well suited for either in this second test, and Adil Rashid is worth following in the expectation that he will be given a chance in the side. It seems pointless to have the player there if he’s not going to be given the opportunity in optimum conditions, and with the Ashes this summer set to be played on very dry pitches, it’s a great moment to see if he has what it takes in a test. Moeen Ali is the other spin bowler expected to return to the line-up, and he also has the potential to top the bowling charts, but we’re taking a chance on Rashid making a special test cricket debut. Although England failed to bowl out the West Indies, and many will point to their failures there, the top order of the batting also has problems of it’s own. Alastair Cook was joined by Jonathan Trott in the opening pair in the first test, but neither had a good game. Cook took just 11 runs in the first innings and 13 in the second, while Trott – on his return to the England side after a long absence – had a game to forget after amassing just four runs over two innings. Gary Ballance on the other hand, is playing with a bit of composure and confidence, and although he managed just ten in his first innings, he scored an impressive 122 in the second. He appears to have made the number three position his own, and is worth backing to follow-up his first test century by hitting the most runs here.